Ingvar joined the Swedish American Line in 1970 on board Kungsholm. He stayed until the ship was sold in 1975. During his time on board he served in different positions in the Purser Office and was later promoted to Second Purser substituting as Chief Purser. 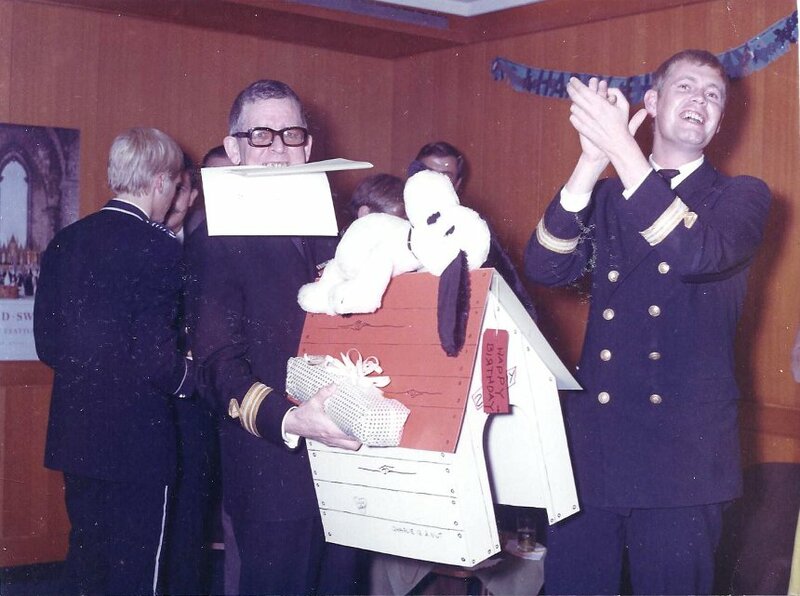 Chief Purser Poul V Lange's 50th birthday August 8, 1971. Purser Lars Måving, Poul V Lange, Ingvar Torstensson, Printer Sten Granberg, and Cashier BG Andersson. Poul V Lange receiving his gifts with a smile. 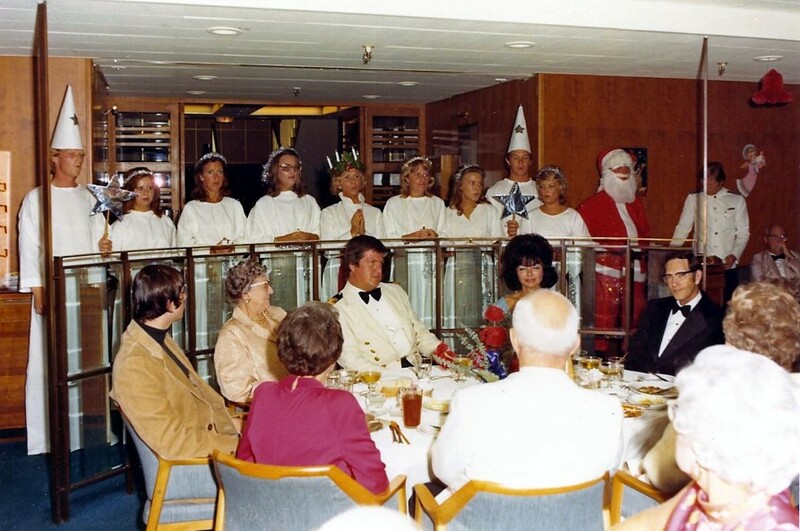 St Lucia celebration in 1973 or 1974..
Lucia, with candles in her hair, is Nurse Ninni. On the far left is Doddan from the Beauty Parlor. Clockwise from the left: First Radio Officer Wimar Berg, next to him 2nd Officer Sr Nils Andersson. Third from left: Nurse Ninni, next Captain Bertil Grönberg, Beautician Doddan. Seated on the right, at the end of the table: Ingvar Torstensson and Cashier BG Andersson. 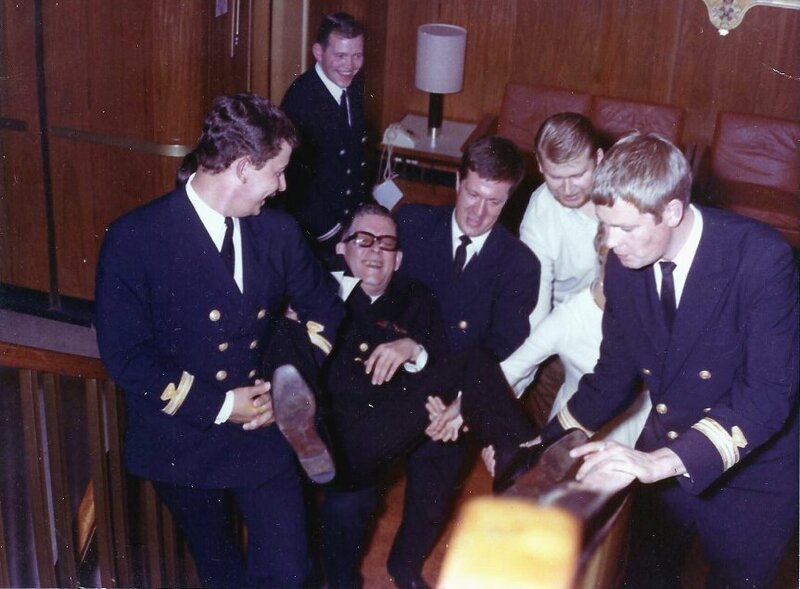 The Ship's Doctor wearing glasses. 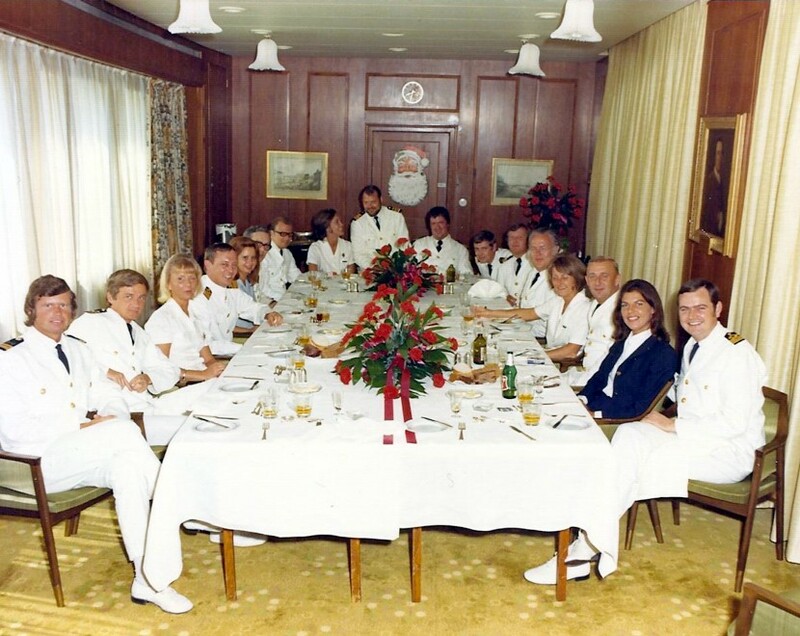 Third from the right: Chief Engineer Gösta Gårdström. 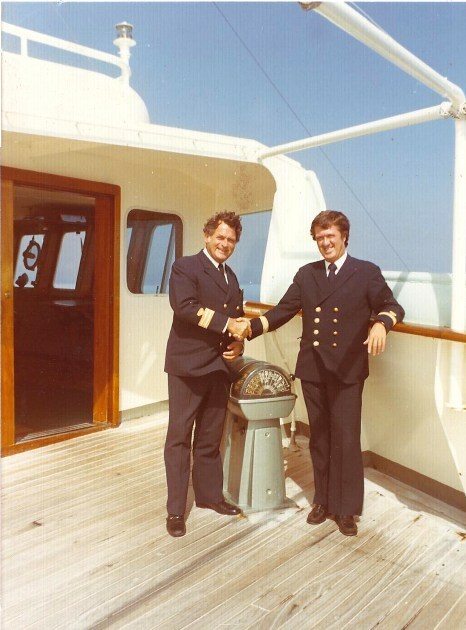 on the Kungsholm's voyage to Newcastle to be delvered to Flagship Cruises in 1975.